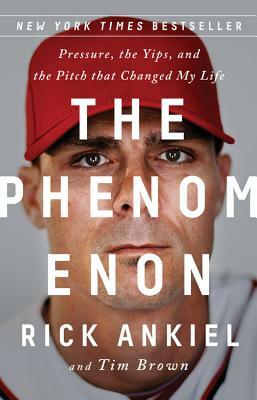 Rick Ankiel was a major-league pitcher and outfielder with the St. Louis Cardinals and Washington Nationals, among other teams, for 11 seasons. Born in 1979, Ankiel debuted with the Cardinals a month after his 20th birthday, and became the first major-league player since Babe Ruth to win at least 10 games as a pitcher and hit at least 50 home runs. He retired as a player in 2013. He is currently a studio analyst for Fox Sports Midwest. With his wife, Lory, and sons Declan and Ryker, Ankiel lives in Jupiter, Fla.
Tim Brown is an award-winning writer with 25 years' experience covering Major League Baseball at the Los Angeles Times, the Newark Star-Ledger, the Cincinnati Enquirer, the Los Angeles Daily News and Yahoo! Sports. He co-wrote, with Jim Abbott, the New York Times bestseller, "Imperfect: An Improbable Life." He resides with his wife, Kelly, in Venice, CA.